Yes - I had a bath with seaweed, and I loved it! Out of all the beauty and skincare products I've ever tried, this one has to be the one I was most nervous and apprehensive about - but the results were amazing! 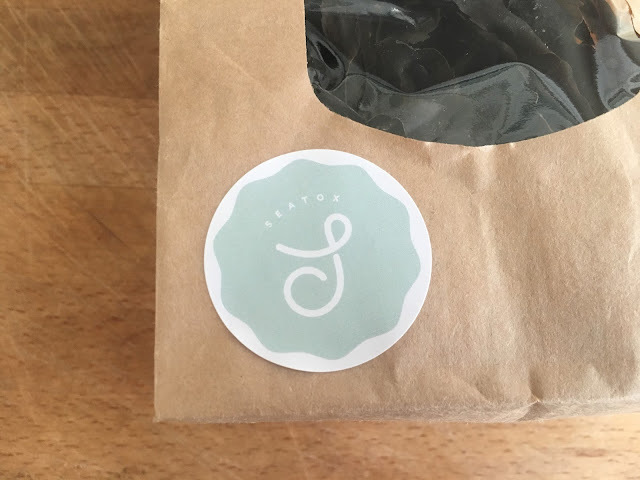 Seatox is a company that provides natural dried seaweed, hand picked from the Irish shoreline. The process of harvesting the seaweed is highly sustainable, and the packaging is 100% biodegradable. However not only is Seatox eco-friendly and sustainable, they also create amazing skincare products just by using nature. So it was slightly bizarre when a clump of dried seaweed turned up in my porch, but I was really excited to try it out and to see it's beauty benefits. This product is the Seaweed Bath Soak called Selkie Smooth. On first impressions the packaging was very beautiful, simple and organic, however there was a slight whiff of seaside coming from within the packaging. I must say though that the smell isn't really unpleasant, it just has a more of a salty aroma. So I ran myself a warm bath, and used the product as described on the back of the packet. "Simply release the seaweed into the bath. Then gently lather the natural gels into your skin and relax. Allow nature to rejuvenate, soften and freshen your body." It felt as if I was swimming in the middle of the sea, or was spending a day at the beach. After my bath my skin immediately felt so soft and smooth. 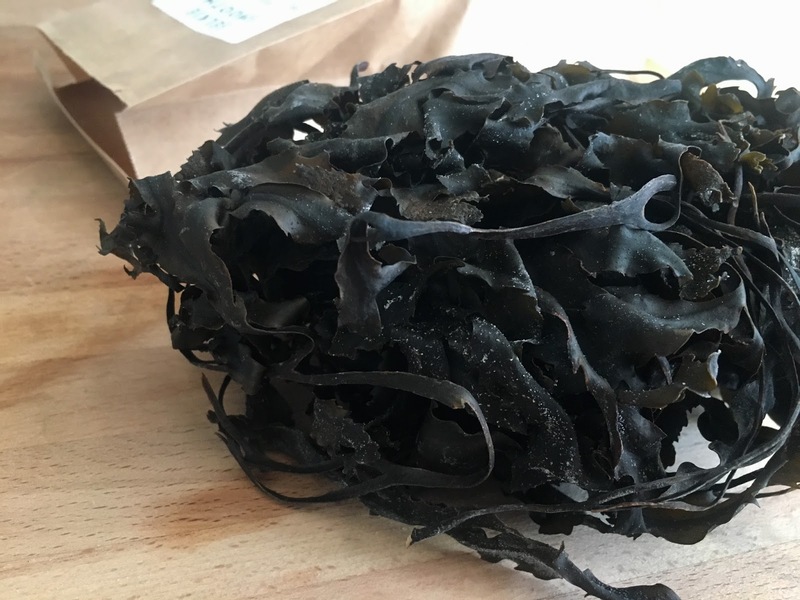 I was blown away with the results of using natural seaweed. Fucus Serratus contains essential vitamins and minerals. There are large amounts of vitamin A in the seaweed which is said to be the secret to youthful skin. The bath soak rejuvenated and freshened my skin just after one bath! 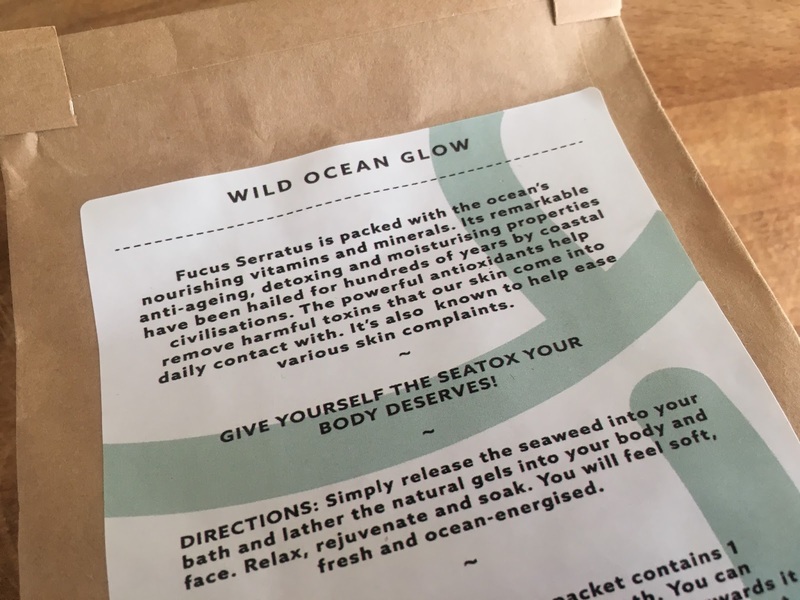 The seaweed can be used for two baths which is amazing, and Seatox recommend to have one seaweed bath a week to achieve naturally radiant, soft and youthful skin. It is said that Aphrodite (The Goddess of Love) used to bathe in seaweed - so it's fair to say I felt like a goddess. I would definitely recommend that everyone should try a seaweed bath, and I'd love to hear your thoughts about it. What an odd conception, but it sounds great! !